And made him Secretarie of thy praise. Are brought to Man, while they are lame and mute. Such as springs use that fall, and windes that blow. Because the benefit accrues to me. While all things have their will, yet none but thine. Thy even praise can neither rise, nor fall. For thou art infinite in one and all. Our first impression is of the sheer wealth, almost over-abundance, of beautiful images contained in striking and memorable phrases we are being offered. This is not the honing and concentration on the single vision, but a kind of rainbow refraction of many insights, a scattering of many seeds broadcast. For each of these images is in its own way a little poem, or the seed of a poem, ready to grow and unfold in the readers mind. And the different seeds take root at different times, falling differently in the soil of the mind each time one returns to this poem. I have been reading it for over thirty years now and I still find its images springing up freshly in my mind and showing me new things. For the purpose of this Introduction we will delve in and examine four of these little seeds, these poems in themselves within the images, before we take a wider view and see how they all fit together in the larger poem itself. This opening phrase carries, with the choice of the word ‘banquet’, a picture not of some puritan modicum, some strict or grudging allowance of necessity, but rather of largesse, generosity, and the good measure of a royal occasion. It’s a phrase that sets the poem’s tone, for of course a banquet is exactly what Herbert gives us; course after course, and layer after layer, of nourishing images. In fourteen lines he heaps up twenty-seven different images of the experience of prayer. But the phrase ‘churches banquet’ alludes to and summons up the rich complex of feast and banquet imagery in Scripture and the Church’s life. Behind this passage lies the covenant meal of the Old Testament, the great wedding feast with which Jesus so often compared the kingdom, to which we must bring ourselves ‘well drest’, but most importantly the Last Supper and through it the Holy Communion which is the foretaste of the banquet of heaven, to which, in another of Herbert’s poems Love himself bids us welcome. Contained in the pattern of our breathing is the whole story of our salvation. For a Christian in prayer the very act of breathing can become a return to our birth, a receiving of original life from the breath of God, as we breath in with Adam in the garden of our beginnings, an offering of all that needs letting go and redeeming, as we breath out with Christ on the cross; a glad acceptance of new life in the Holy spirit as we breath in again receiving our life and commission afresh from the risen Lord. But after the thunders and towers and cannons of the siege imagery, Herbert brings the focus down and sharpens it with that single piercing image: ‘Christ-side-piercing spear’. We have become the centurion, making that terrible thrust, but this time it is not cold iron but our own agonies which are piercing the heart of Christ. Transposition is very much what poetry and all literary art is about. To hear snatches from the huge unknowable symphony of experience, to catch them and transpose them to a key that resonates with our understanding, so that at some point they harmonise with that unheard melody from heaven we are always trying to hear, that is the purpose of poetry. ‘Transposition’ for Herbert in this poem involves taking of the whole story of creation and a reworking of it within our individual life of prayer. Meditating on the six days of creation as a key to understanding ones own place in the order of things was a tradition which had begun for the West with Augustine’s beautiful meditation on Genesis at the end of his Confessions. It had been continued in Herbert’s age by his older contemporary Lancelot Andrewes whose private devotions were ordered around the governing images derived in each day’s creation, and there is a beautiful contemporary example of ‘the six days world’ transposed literally in ‘an hour’ in a sermon of John Donne’s ‘Remember thy Creator in the days of thy youth’, which takes us symbolically through every step in the genesis creation narrative and was written to be heard in exactly an hour. These transpositions lead to the making of ‘a kind of tune’ and if this is true of prayer it is also true of poetry and of this poem for here again is Heaney’s ‘music that you never would have known to listen for’. or as we were with Heaney, to enter heaven through the ear of a raindrop. We could meditate further on these individual images but I want to turn now to look at how they are related to each other and to the poem as a whole, for the ability to feel the energy that arises from the forces and tensions within the poem is part of what we need to rediscover in order to enjoy poetry at depth. Looking at the poem as a whole it seems almost modern in the way Herbert allows himself freedom from syntax and logic. The poem is technically a single sentence with only one full stop at the end of it bringing us to a rest after the roller-coaster ride through the images, with the quiescent phrase ‘something understood’. But it is a strange sentence. There is no main verb. It makes no statement. Its meaning is not carried on the surface of its grammar. It is a world away from Sprat’s ‘bringing all things as near the mathematical plainness as we can’. No, the meaning of this poem is carried not by the syntax of the sentence, but by the images themselves, by the way image speaks to image in point and counterpoint. For here there is both a congruence, which gives the poem flow and unity, and also a disparity, which gives it tension and energy. There are lines of congruence between ‘banquet’, ‘softness’, ‘manna, and gladness, well-drest’, ‘land of spices’, all suggesting sumptuousness and celebration. There is congruence between the music imagery of ‘transposing’…’kind of tune’. and ‘church bells beyond the stars heard’, but there is a power in the tension of a poem which in lines 4 and 5 has the loud violence of ‘engine against th’almighty’ and ‘reversed thunder’ yet has moved in line 9 to ‘softness, and peace, and joy, and love, and bliss’. At the end of the poem something is understood precisely because the poem has been able to hold these extremes in tension with each other, which is of course exactly what the life of prayer does for the practising Christian. Then there is the whole subtle achievement across this poem of transposition and paraphrase, both terms mentioned in the poem itself. The theme of giving back to heaven what heaven first gave, which is what prayer essentially is, is transposed across a series of different keys from ‘breath returning to its birth’ through ‘reversed thunder’, to its fullest expression in ‘exalted manna’, the offering to God of his own gift in the Eucharist. When Herbert speaks of prayer as ‘the soul in paraphrase’ he is using that term to describe the way in which through prayer we find a new language, a new set of terms in which to express ourselves and in paraphrasing ourselves to God in our hour of prayer we are, through the terms of our paraphrase, seeing ourselves afresh in His light. And this in turn is what the poem itself does. Each of the twenty-seven images it offers is itself a paraphrase of the experience of prayer. Between them they offer us a series of new understandings of who we are and what we are doing when we engage in prayer. These notions of ‘transposition’ and ‘paraphrase’ will be a key to understanding much of the poetry we encounter in this book. The other thematic key which we have already noted both in this poem and in ‘Rain Stick’ is paradox and reversal, the sudden setting of things on their heads, the ‘reversed thunder’, the ‘up-ending’ of the rain stick. Through the break in our world made by the shock of paradox there sometimes flows a new light. It is the combination of all these things, working together within the subtle unity of the poem which enables us to hear ‘a kind of tune’, that stirs ‘The souls blood’, and leads at last to ‘something understood’. 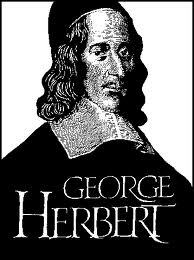 I just finished listening to your lecture on George Herbert and might I say that it was a banquet as well. The poem “Prayer” was beautiful to read, but with your insights and explanations, it became a rich feast. I thought of Isaiah 55:2-“…your soul will delight in the richest of fare.” When I had finished listening, I felt as though I had had a deep drink for which I did not know I had a thirst. I have always loved poetry and your commentary illuminates the ideas which Herbert penned. Your comments on his phrases “‘Engine against th’Almighty, sinners tower Reversed thunder, Christ-side-piercing spear,” reminded me of Steve Bell’s thoughts on “censoring the laments”. Thank you so much for making these lectures available. I am planning to listen next to your thoughts on Edmund Spenser. Thank you for a lucid analysis of this poem, parts of which had really puzzled me. A great poem. I am re-reading Dennis Lennon’s ‘Turning the Diamond’, his series of reflections on Herbert’s ‘Prayer’. He is full of enthusiasm but tackles them as a theologian – that yields some rich insights but as a literature graduate I find myself sometimes dissatisfied – he has not understood the text, nor its context! I came to you for your ‘take’ on it, Malcolm – especially the phrase ‘Six days’ world transposing in an hou’ which was really puzzling me this morning. Having read this, all is now clearer – it takes a Christian poet to understand another. So thank you.